Sorry again. I haven’t been updating frequently as I should. We have been working like mad. 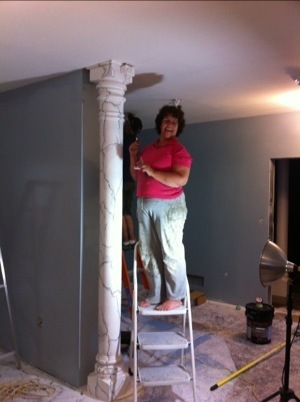 My parents came down for the long weekend to help paint. We also now have a bedroom and a tiled shower! Anyhow, I promise I’ll have a proper update soon, I just need to stop working for a few minutes!